to my husband, 39 is the new 19. i love you. Sorry for the silent treatment. I finished a BUNCH of books in the last few days and they are all swimming around in my head. More on those later this week. (Yes, Leif was among them). So this week between work and school and house stuff, I promise I'll blog. Last night my mailbox was empty. Did you know when you preorder a book from amazon, you have to choose release-date delivery? Silly me. I preordered a book - this most likely means I want it DELIVERED on the RELEASE DATE. Otherwise, I can drive to B&N and pick one up. Which is exactly what I did last night. 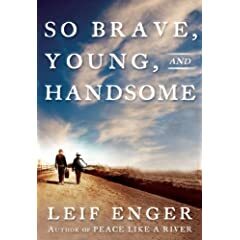 PS - My copy of So Brave, So Young.. should be here on the 24th (tomorrow). I may have already read it twice by then. The good news for you - giveaway time. Stay tuned. hanging with the O,straightening up. lounging around. planning the week. finishing some books. and today it's raining. which on a monday, is fine with me. Stephen King - On Writing. This one is my favorite, part memoir and so readable. 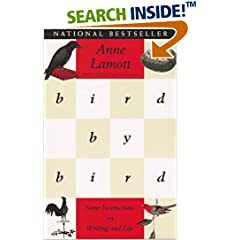 Anne Lamott - Bird by Bird. I just plain love her. 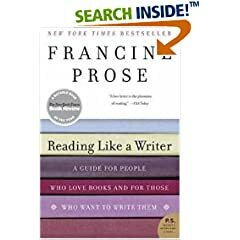 Francine Prose - Reading Like a Writer. A different approach, but it is true that you can't be writer without being a reader. Annie Dillard - The Writing Life. She has the ability to make normal words into something more - a glorious and lovely gift. 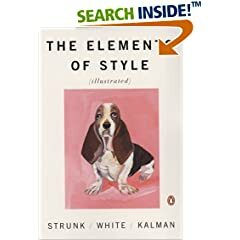 Strunk & White - Elements of Style Original or illustrated, either way you really MUST read. I must admit I'm tempted to choose this as a bookclub selection. i am at the post office, mailing my atc swap cards - six weeks late. arguably one of the busiest postal days of the year. ps wallstats actually incorporates art and taxes. this is my inner-accountant coming out. cementing my place in nerdom. No that's not a typo, that was our analysis of The Double Bind last night. A very lively discussion where no topic reached consensus other than the author is clever indeed. I don't want to post spoilers here, for it truly must be read completely to be discussed properly. But I will say after some late night reflection that I fear the issues the author highlighted were overshadowed by the many questions regarding plot device. I'll leave it at that. As the leader, I didn't do a good job of bringing the topics of homelessness and mental illness into the discussion. 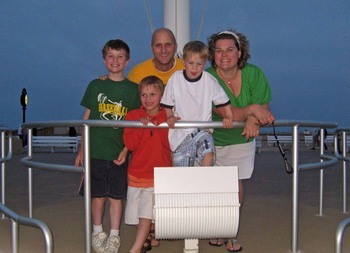 And I wish now we had delved a little further down the bumpy road instead of taking the easy one. Sorry girls. Book club is always a good reminder that everyone views books differently and even if a story isn't liked, it can still make you think. It is so nice to engage in adult conversation, if only for a few hours. And if you wouldn't mind, please indulge me in the great Message Board experiment of 2008 and sign up. Otherwise, I'll be forced to discuss books with myself and no one wants to see that. Um, Table for one. My new message board - over on the right column. Click and join. This is a trial run in an effort to make online book club a little bit more discussion friendly. I really hope it works. My vision is to have several book discussions going at once, but I'm only one girl. And I apologize for the cluttered mess that is my blog right now. I need to do some spring cleaning here and soon.